A very antique style one tier central fountain of French origin. Bowl with bugne decoration and simple base. On the top a cherub with dolphin. 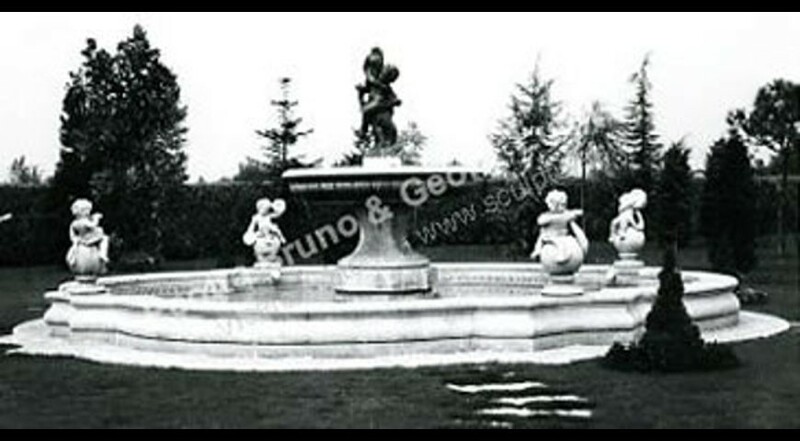 The fountain has a four-leaf clover coping, in each side there is a musician cherub on ball. Original Fountain placed in Verona area.